Listen to the natural rhythms of the body. Be at the right time in the right place. Biorhythms will prompt you the most favorable time in your personal life and in making important professional decisions. Sense accurately reflects the picture of your well-being at different time periods. This will determine the days when your opportunities and potencies are high. 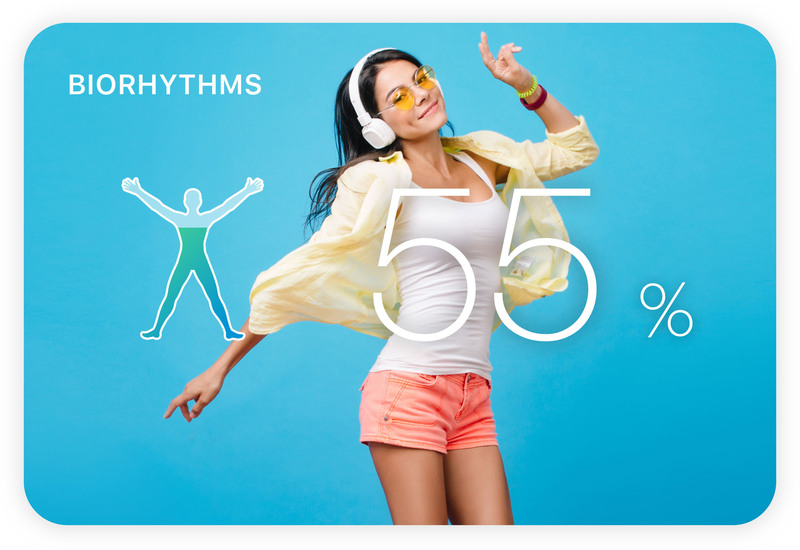 A user-friendly interface will help you to exactly determine which of your Biorhythms is at the peak at the moment. This will allow you to evaluate the effectiveness of your actions and properly distribute your forces. Determine which days of a certain month are favorable for building close relationships or for professioanal activities. Here you will also find information on the most successful months throughout the year. Calculate compatibility with any person. All you need is your birth date. Identify compatibility for friendship, close relationship or professional interaction.